New Fujifilm camera pictures leak, shooter scheduled for CES debut? Well, well, have a look at what the proverbial internet cat dragged in. The image above comes to you via Japanese forum, giving us the full monty on what is allegedly Fujifilm’s next interchangeable lens camera. 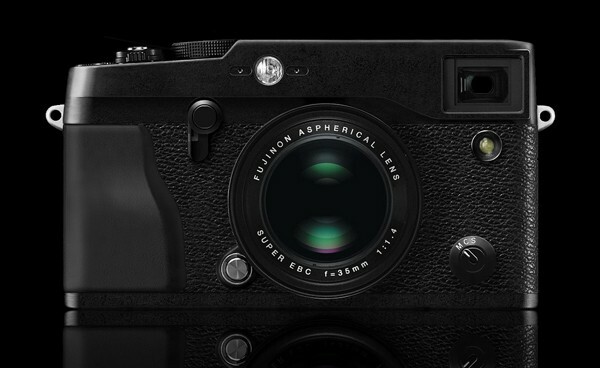 Following in the footsteps of the retro-looking X10 and the X100, not much is known about the shooter’s specs, but Mirrorless Rumors safely muses it probably isn’t full-frame. Guess it won’t take too long to find out, as the grapevine also says a proper reveal will happen at CES. Too frothy to wait until then? Well, hop on past the break where we’ve conveniently culled a more intimate snap for ya. Continue reading New Fujifilm camera pictures leak, shooter scheduled for CES debut? New Fujifilm camera pictures leak, shooter scheduled for CES debut? originally appeared on Engadget on Tue, 03 Jan 2012 17:27:00 EDT. Please see our terms for use of feeds. You could take the time to make your cat feel loved. Or you could augment a robot to do it for you. Software engineer Taylor Veltrop has accomplished this by combining a 21-inch-tall Nao robot, a few Wiimotes, a Kinect sensor bar, a treadmill and a head-mounted display. The configuration, which represents about a year’s work and several thousand dollars in parts, uses the Kinect and Wii remotes to control the robot’s arms, the sensor bar and treadmill to provide movement and the head-mounted display to move the Nao’s head and adjust its camera angle. This is still a work in progress, and doesn’t include things like two-way audio, which Veltrop plans to implement using an integrated microphone and speakers. 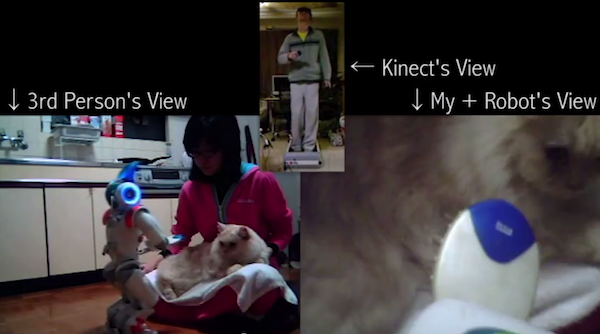 Click past the break for a video of robotic feline grooming action. Developer pairs robot with gaming controllers for remote cat grooming, affection expression originally appeared on Engadget on Tue, 03 Jan 2012 16:53:00 EDT. Please see our terms for use of feeds. In Insert Coin, we look at an exciting new tech project that requires funding before it can hit production. If you’d like to pitch a project, please send us a tip with “Insert Coin” as the subject line. That timelapse masterpiece you’ve been planning just got a whole lot less daunting thanks to Elijah Parker over at Kickstarter. Go through a few niceties, like handing over at least $99 and helping him reach his $20,000 funding target, and you’ll take proud ownership of a Timelapse+ (previously called the Timelapse Pro) — a photographer’s intervalometer that does a lot to deserve its name. It’ll come with a choice of adapters to match the standard cable release on your DSLR (or even SLR, if that’s how you roll), and once hooked up it’ll let you configure everything from delayed starts to incremental exposures and even multiple exposures per interval for a much-needed dose of HDR. The firmware will be open source to leave scope for user mods, and there’ll also be the option of a Bluetooth interface for wireless controls — although that’ll require an extra $40 and a smidgen of FCC approval. The video after the break reveals more, and the source link has more+. 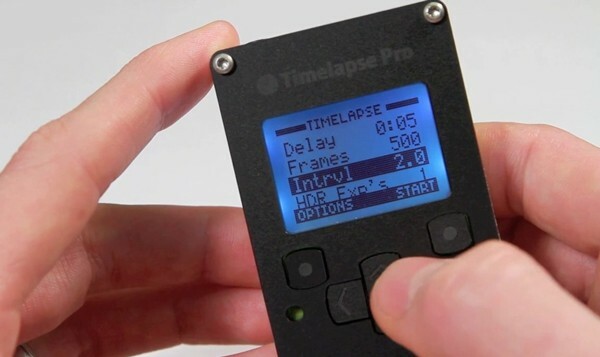 Insert Coin: Timelapse+ is the intervalometer you’ve been waiting for (video) originally appeared on Engadget on Tue, 03 Jan 2012 16:24:00 EDT. Please see our terms for use of feeds. This entry was posted on January 3, 2012, 5:54 pm and is filed under Mobility. You can follow any responses to this entry through RSS 2.0. Both comments and pings are currently closed.